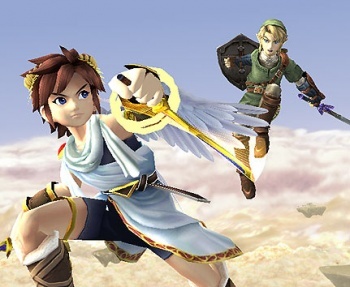 Is a Wii Kid Icarus Sequel Just Waiting for the Right Idea? Yoshio Sakamoto, one of the original Kid Icarus creators, says that he would gladly revisit the series, as long as the concept was right. Nintendo has something of a reputation for, shall we say, getting the most out of its franchises, which is what makes Kid Icarus so unusual, as amongst the dozens of Mario, Zelda and PokÃ©mon games, there has been only two Kid Icarus games. Fans of the series have long asked for a new game, and aside from lead character Pit's recent appearance in Super Smash Brothers Brawl, their pleas have gone unanswered. But according to Yoshio Sakamoto, one of the original Kid Icarus creators, a Wii sequel isn't an impossibility. "If we can find some sort of way to bring it to the Wii, a way to make the game for the Wii that makes sense, we would happily do so," he said. "But just keep in mind it may not be me making the game." Sakamoto said that he wasn't aware of any current Kid Icarus projects, but he also said that the people who want a new game should speak up, which would suggest he's a little bit out of the loop.